The step of moving from Graphical User Interfaces (GUIs) toward Tangible User Interfaces (TUIs) creates a rich set of manipulation possibilities and redefines requirements for interaction design. The design process needs to deal with issues of multiple disciplines and balance their requirements and possibilities in order to develop rich and powerful interactions. 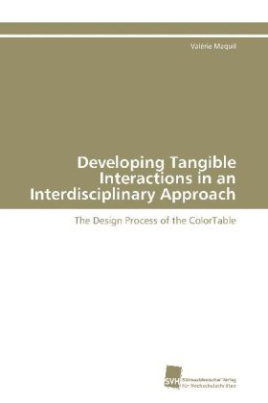 This book describes and analyses the design of a complex TUI, the ColorTable, which was developed in an iterative and interdisciplinary approach within a period of four years. A series of participatory workshops related to on-going urban planning projects guided the design, implementation and evaluation of each of the prototypes. Based on various observations collected during these field studies, the author identifies the main questions to be addressed while developing a complex TUI. She compares the different prototypes and identifies problems and opportunities arising in the design and implementation of tracking technology, application functions, interaction space and real use. Using two simple design models and rich examples, the work clarifies the impact of each design decision on other aspects of the TUI.